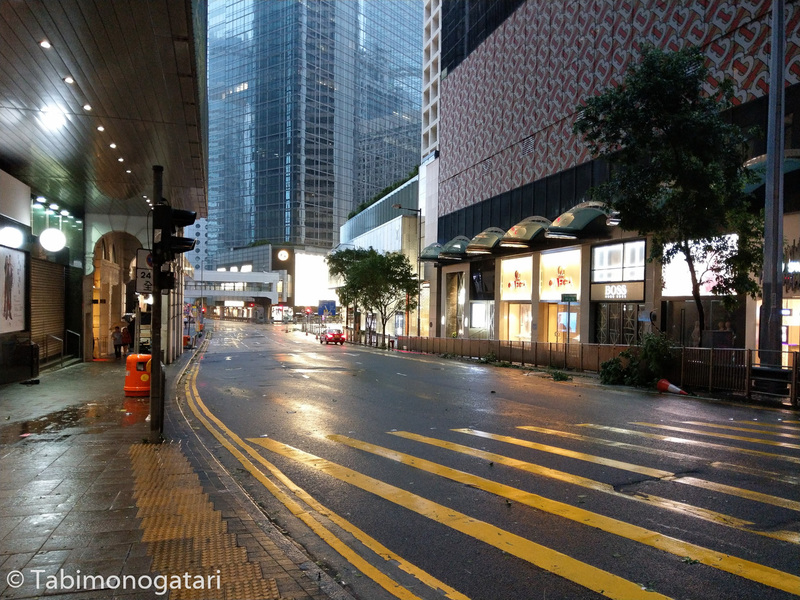 As you probably heard from the news, the typhoon Mangkhut passed over Hong Kong on September 16th. While I was in the middle of it I can assure you that I am safe and unharmed. Read more about the events below. 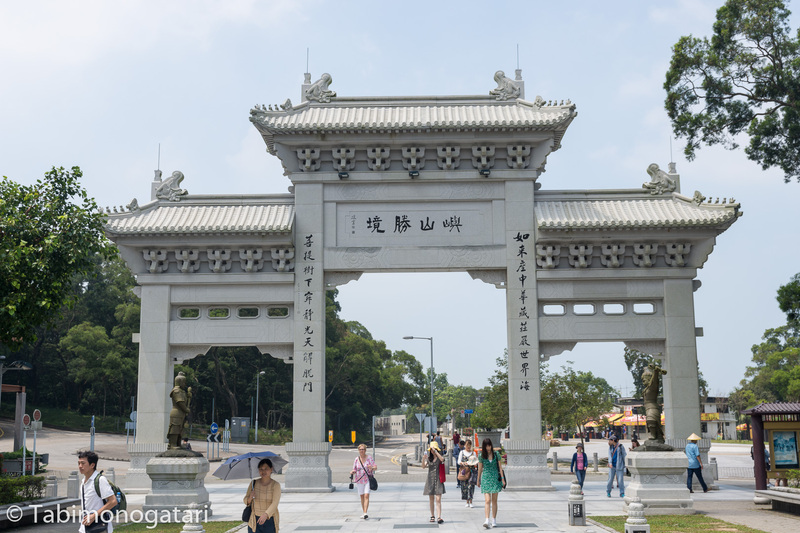 The next day I decided to explore Lantau Island in the West of Hong Kong Island, where also the airport is situated. 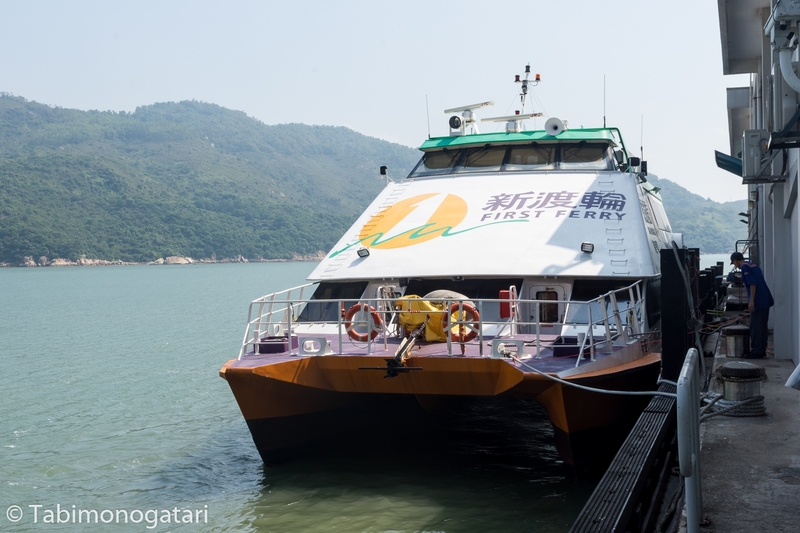 I just arrived in time for a fast ferry that took half an hour to Mui Wo, a village on the Southeast of the island. 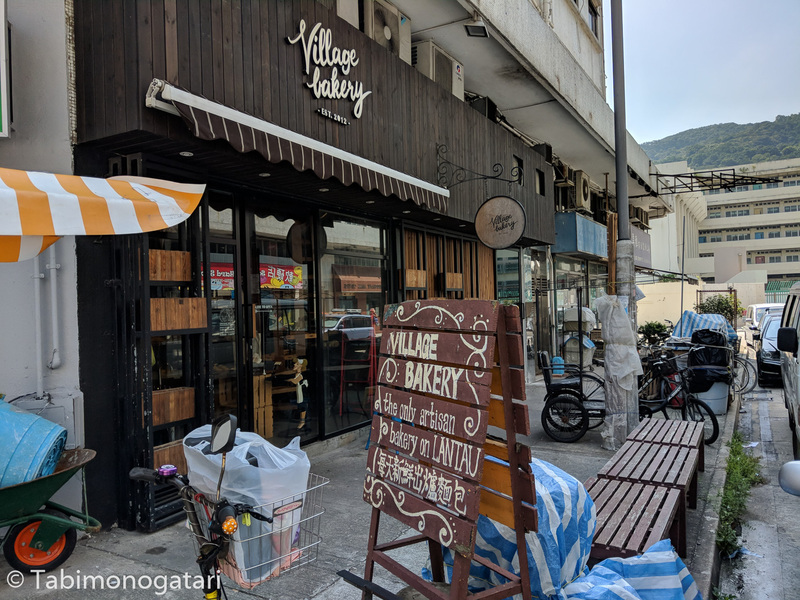 The itinerary I was following suggested to try local breakfast in a teahouse, but I could not find such an establishment in the very walkable village. 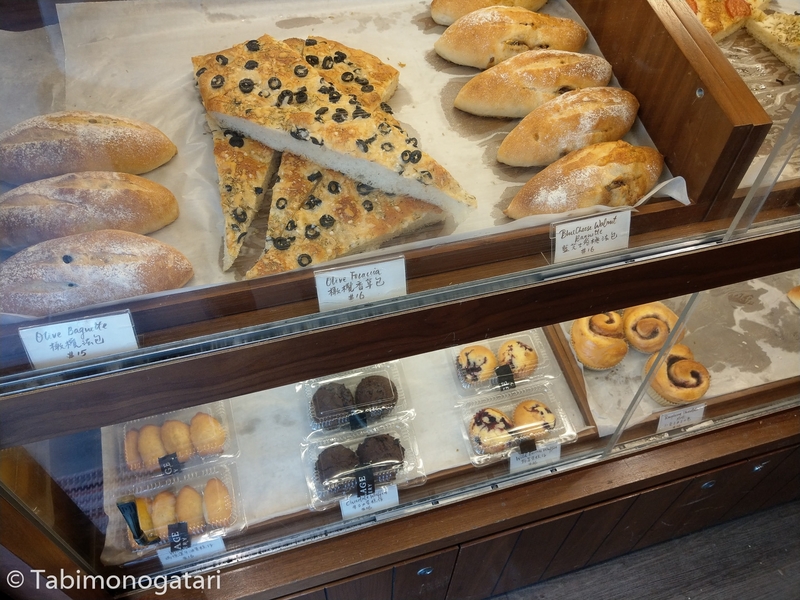 Instead, I found a charming Western-style bakery that took pride in producing pastries and buns themselves. Next to the ferry station departed a bus that took me all the way to the mountain Ngong Ping, where a buddhist monastery Is located. On the way we passed through a rural landscape that was the opposite of the Hong Kong I saw the day before. 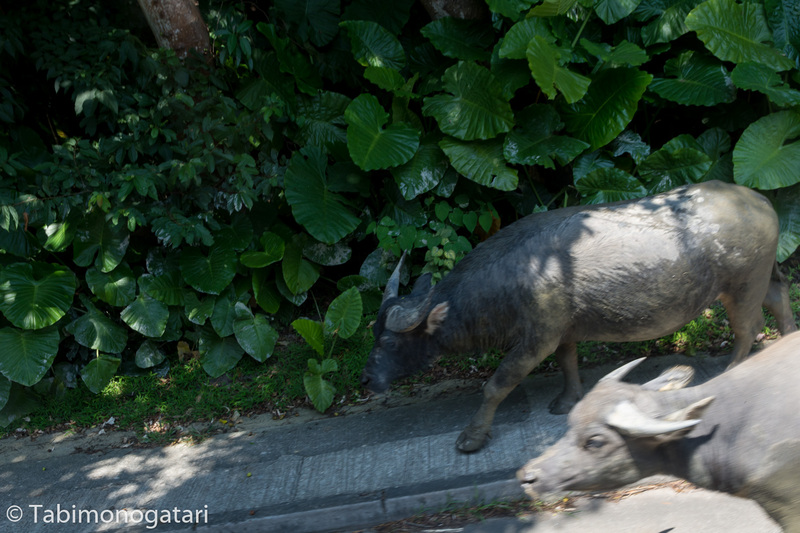 Once we passed buffalos who stood in the middle of the road. 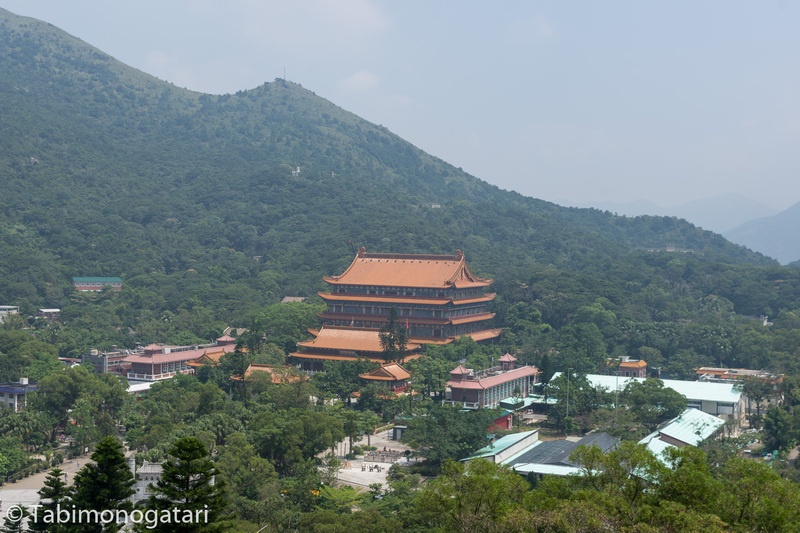 The enormous Tian Tan Buddha statue was already visible from afar, but coming close to it I realized it’s enormous size. 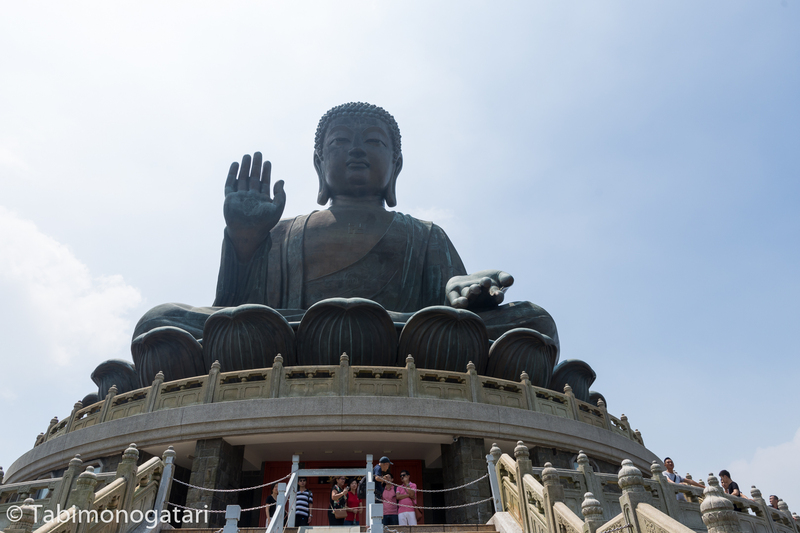 It is one of the largest Buddha statues (34 m high) made out of bronze in the world after all. 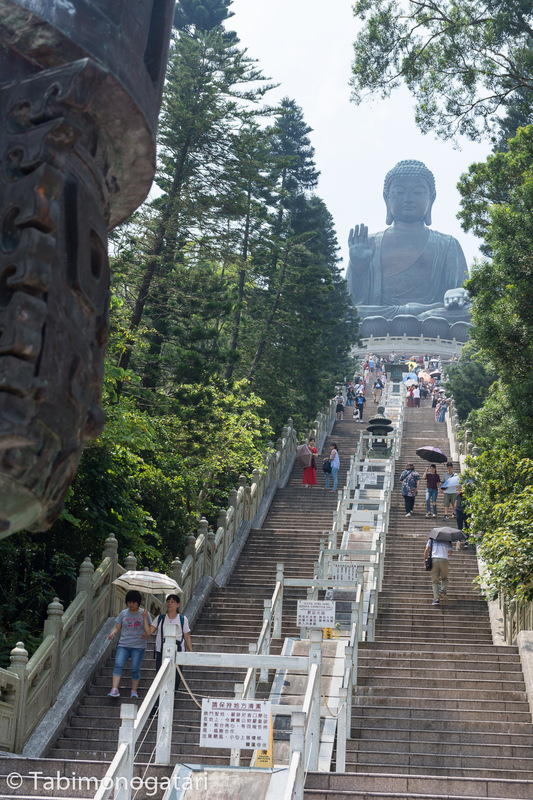 More than one flight of stairs had to be taken to reach the plateau. Up there, I could make out the adjacent temple area well, as well as several tourist shops on the other side. 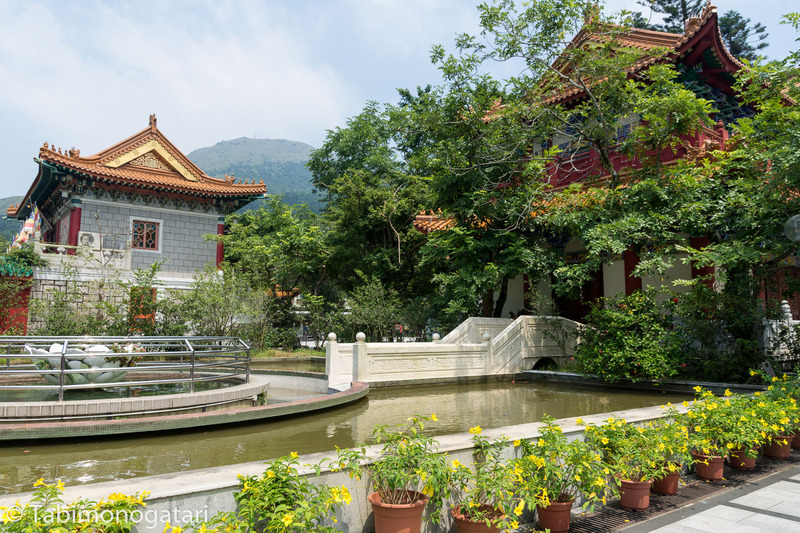 The temple was richly decorated and housed 10000 Buddha statues in varying sizes. Unfortunately I cannot show you a photo from the inside. A gondola line connects the mountain summit with Tung Chung station in the valley, but this day it was closed for maintenance. As an alternative the local bus brought me back down, albeit it taking much longer. 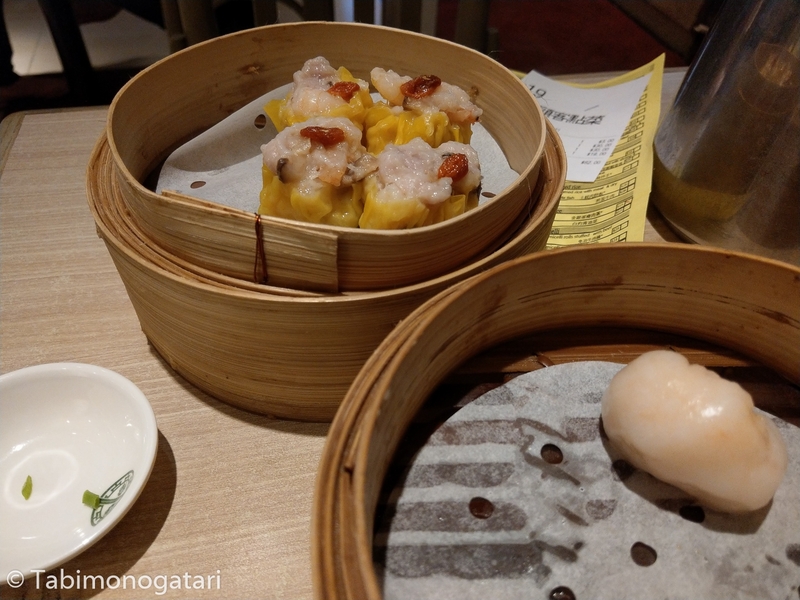 Finally I could sample some dim sum, a dish I waited to try for long time at its origin. 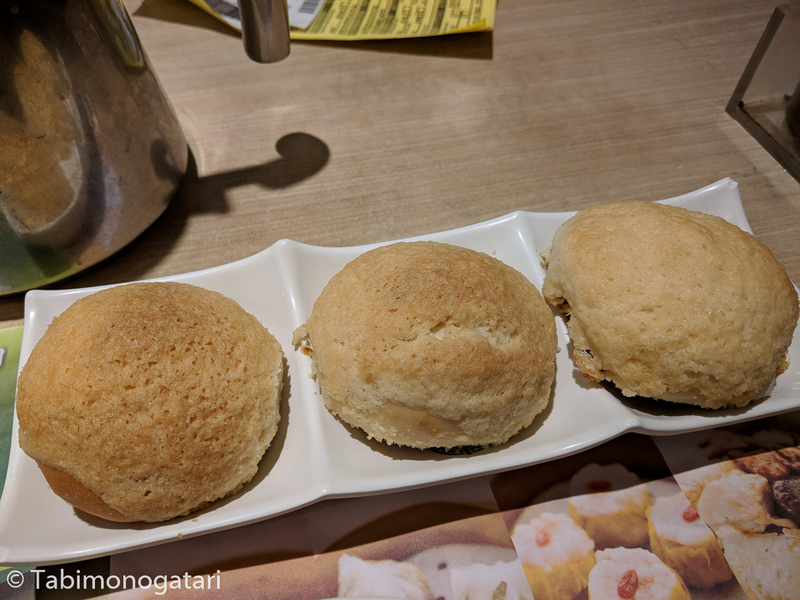 I found the restaurant Tim Ho Wan had good reviews online and I found a branch in a shopping mall at Olympic station in Kowloon. Because I arrived at 4 in the afternoon it was not busy at all and I could enjoy the meal without rushing. At the table there was an order sheet that fortunately was bilingual. Each item costed about 20-30 $, while tea was served complimentary. 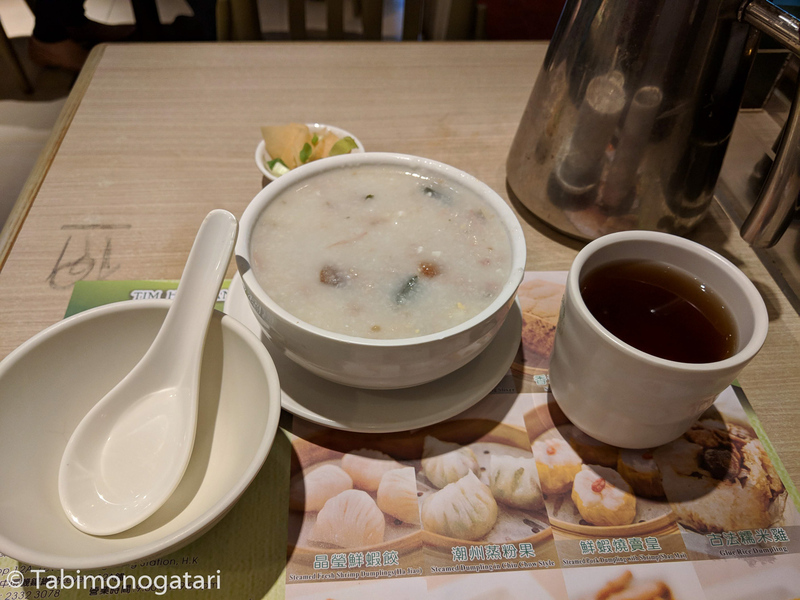 In the first round I ordered Congee rice porridge, and pork (sui mai) and shrimp/pork (har gow) dumplings. The porridge was a great start and satisfied the first appetite. 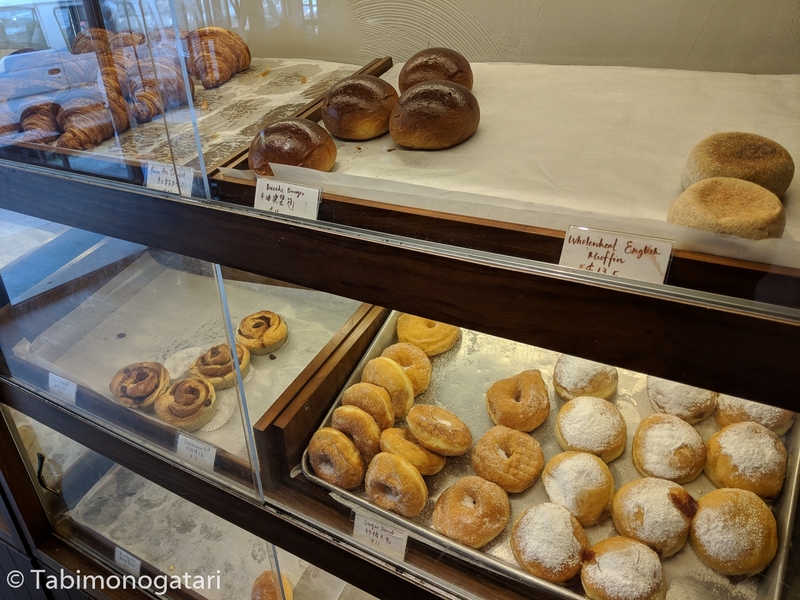 When the bamboo baskets arrived, I could not wait longer than a few moments to take the first bite. They were too hot in the beginning but were both delicious. 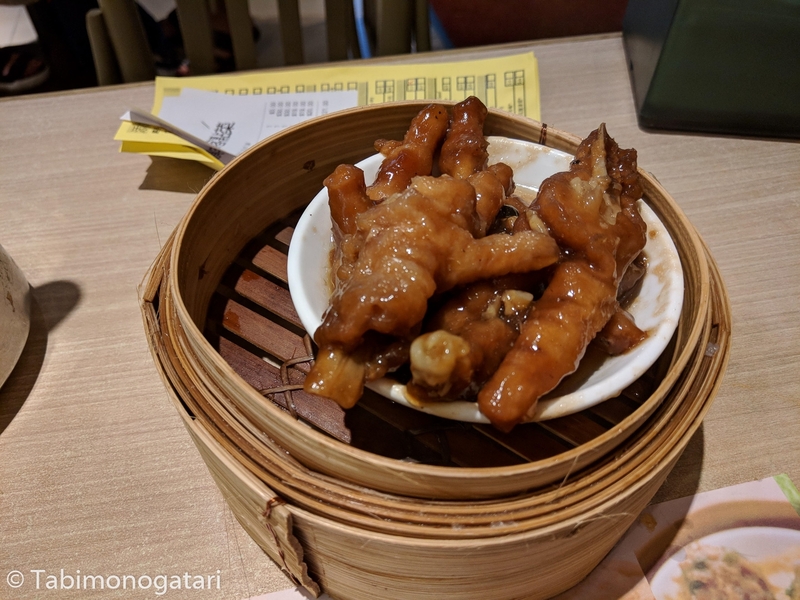 For the second round, I ordered baked BBQ pork dumplings (chia siu bao) as well as the ominous chicken feet, a favorite of the locals but not on the menu of Westerners. Intrigued and curious, I went ahead to try them. First, the pork dumplings were just delicious, juicy inside and crispy on the outside. The chicken feet really consisted of the lower leg and three toes and were coated in a marinade. It was incredible hard to eat them with chopsticks, maybe I should have looked up how to eat them beforehand. As the taste goes, it was obviously similar but not quite the same to chicken breast. While I would be fine eating it again, I think I still prefer the other delicious dumplings. Back at the hotel I strapped off my camera and headed back to the piers. 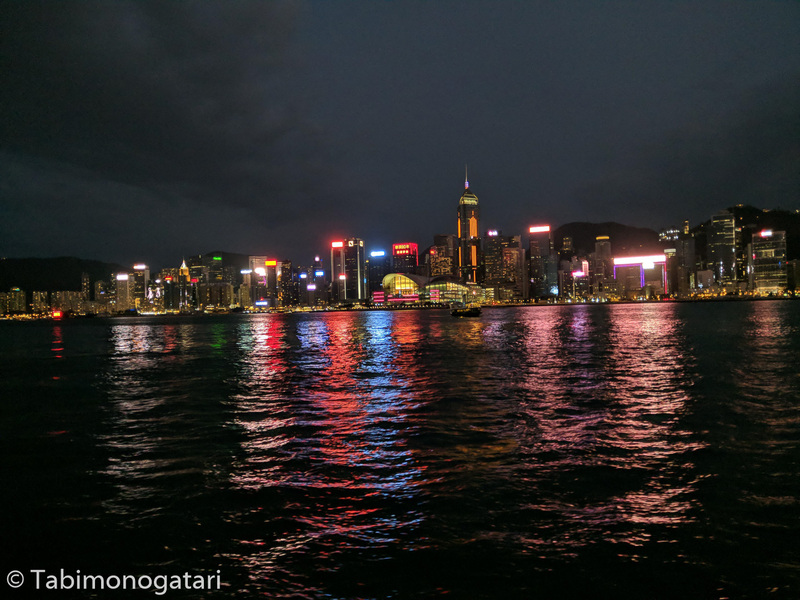 This time I took the Star Ferry to cross the bay to Tsim Sha Tsui, just at the time of dusk. 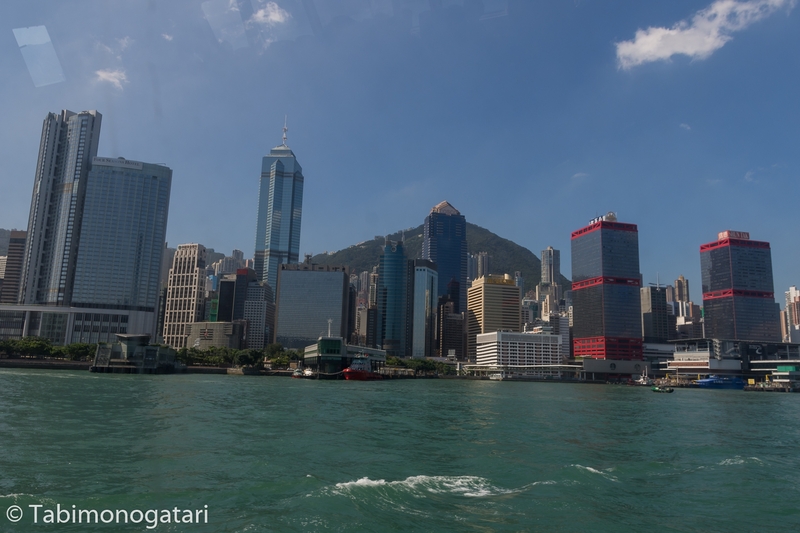 The pictorial scenery of the skyscrapers of Central came to view, just like the postcards present it. Every day at 8 pm a light show can be enjoyed from this side of the short, but because of the approaching Typhoon the show was suspended. 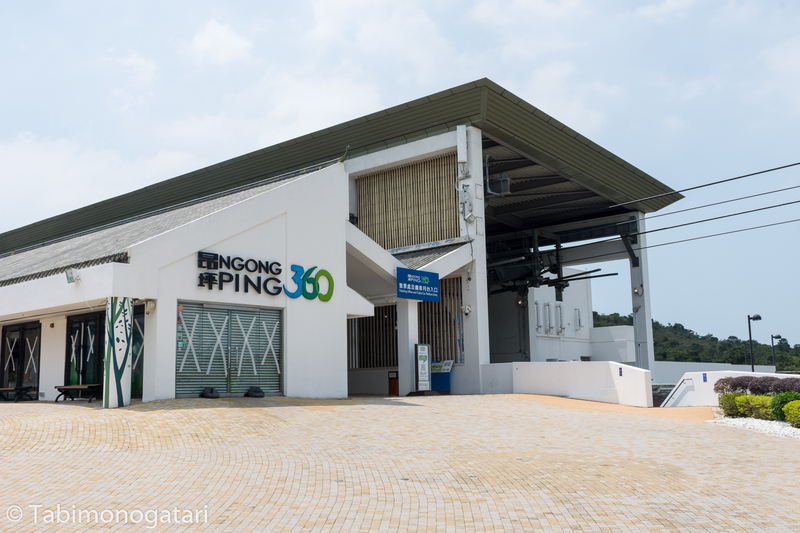 The weather was still stable at that point, so I moved on to explore some of the shopping centers. There I bought a package of moon cakes and had Shanghai noodles in a food court. 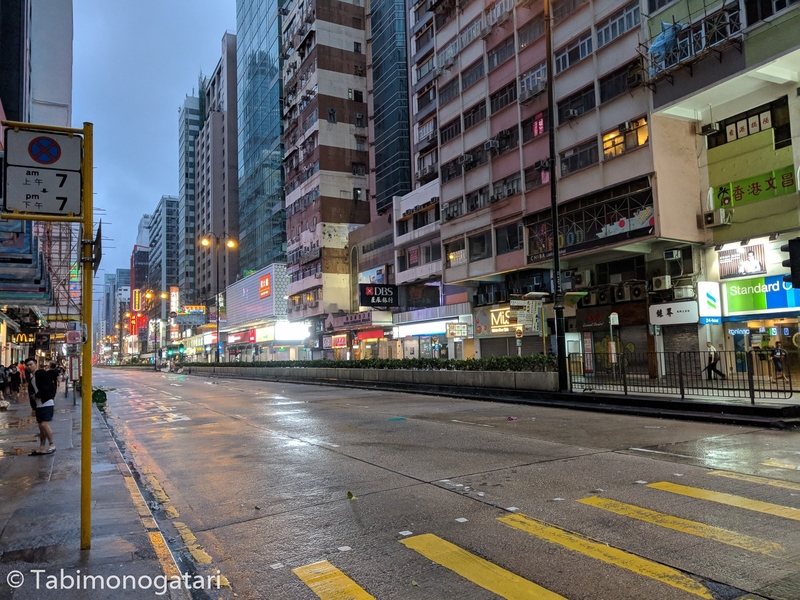 As the typhoon would hit Hong Kong soon, I visited a convenience store and bought some emergency rations for the next day, that being cup noodles, two bottles of tea, some seaweed crackers and a dorayaki sweet. Then I headed to the hotel room and hoped for a peaceful night. Not setting an alarm was a mistake. I was woken up by a phone call reminding me of the check-out time. For some reason I slept in the whole morning even though it began raining in the night and continued throughout the day. In my defense, the meager window of my room did not let in much light, especially on this day it was very dark. It was busy in the hotel lobby, everybody watched their phones and checked the news and social media while the weather became more hostile by the minute. 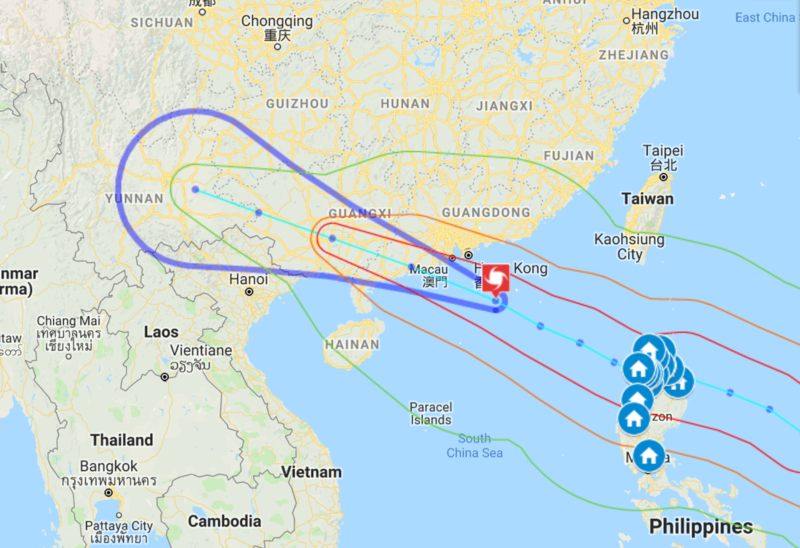 The typhoon was predicted to pass by south of Hong Kong but would come close to Macau. Still, the influence of the strongest storm of the year could be felt throughout the day. The front door was sealed with towels as the rain torrented down and the wind blew over trash cans and moved twigs. Once in a while a taxi came by, but apart from that no person was seen outside. 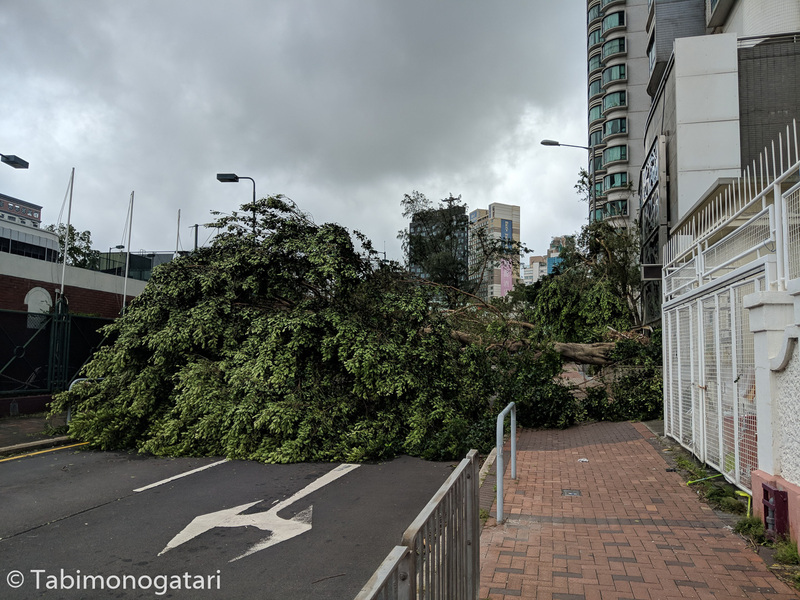 In the afternoon the typhoon reached its climax. In the news I read about floods, uprooted trees and broken windows. The airport was closed for the whole day but the underground trains continued on a reduced schedule as far as possible. 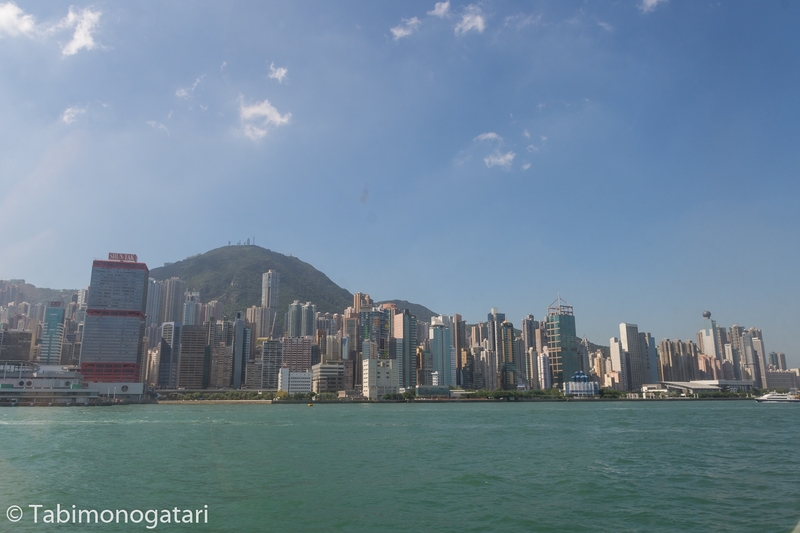 Since I planned to leave Hong Kong that day I had to make several booking changes. I could apply for a reimbursement of the canceled flight and booked a new one from a different airline for the next day, to secure a seat before everything was booked out. Also, I needed to move to a new hotel at some point. 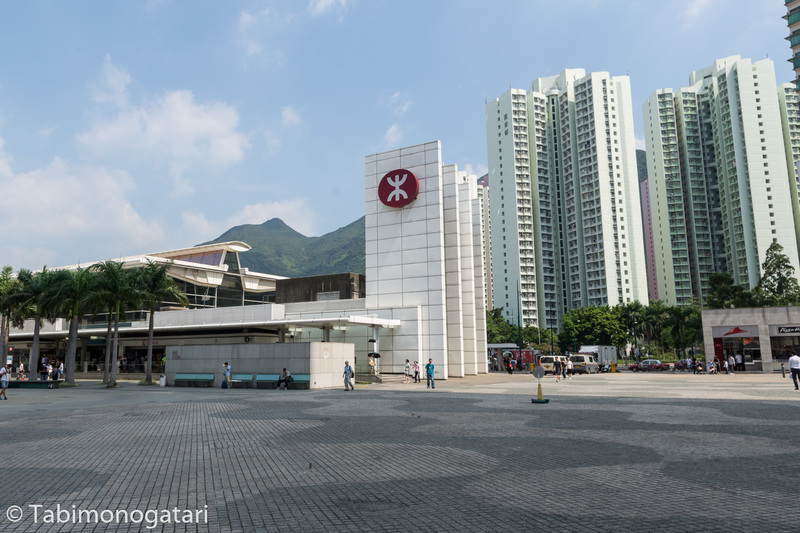 I found one close to a MTR station on Kowloon that suited my needs and booked it right away. In the evening the storm had passed Hong Kong and while the storm warning was not lifted yet, I judged it safe enough to quickly go outside. With my suitcase I hurried to the next MTR station and found the line operating. The normally brimming Central district was deserted, the shops were closed and only few people were outside. I was fortunate that the rain had stopped for the time being and the strong wind turned into a breeze. The new hotel was better in comfort and the room had a decent size as well. At the previous place, the room was just as big as the bed with no floor space to speak of. The restaurant offered a discount because of the weather conditions and since there was no open shop outside anyways, I was happy to stay and dine in. 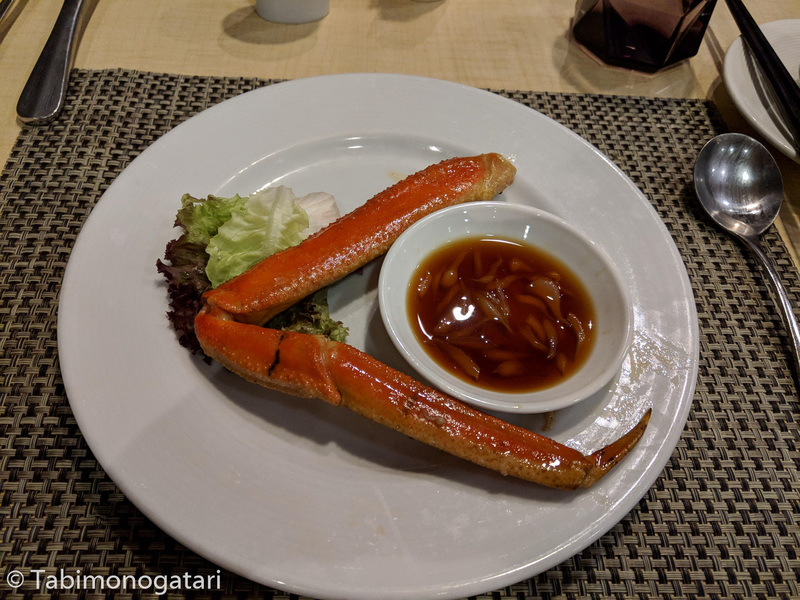 The restaurant had a buffet loaded with high quality dishes, including sashimi, clams and even crab. Taking advantage of the great diversity, I tried to eat as much as I could before hitting the bed. Strangely, this night I could not sleep that well and woke up early. It was lightly raining when I looked out of the window but nothing unusual occurred to me. 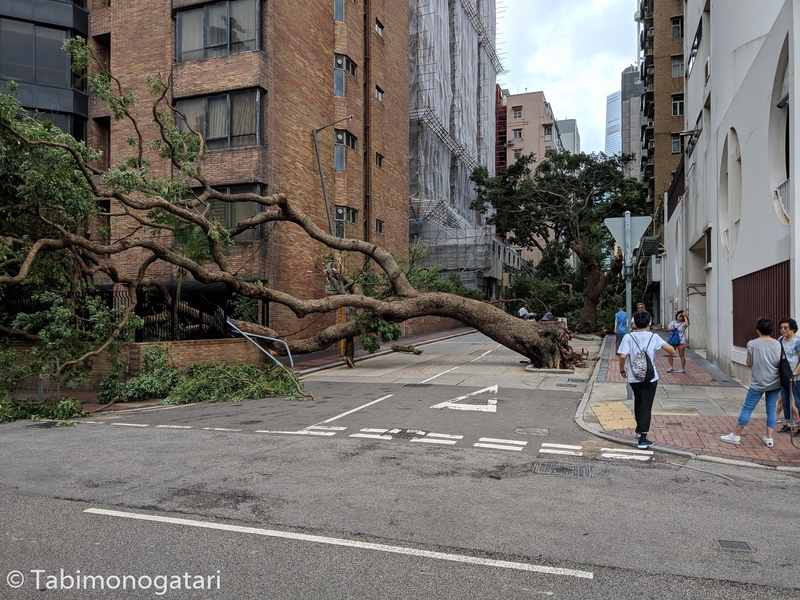 The news reported severe damages to the Hong Kong area, especially in the New Territories and areas close to the shore. 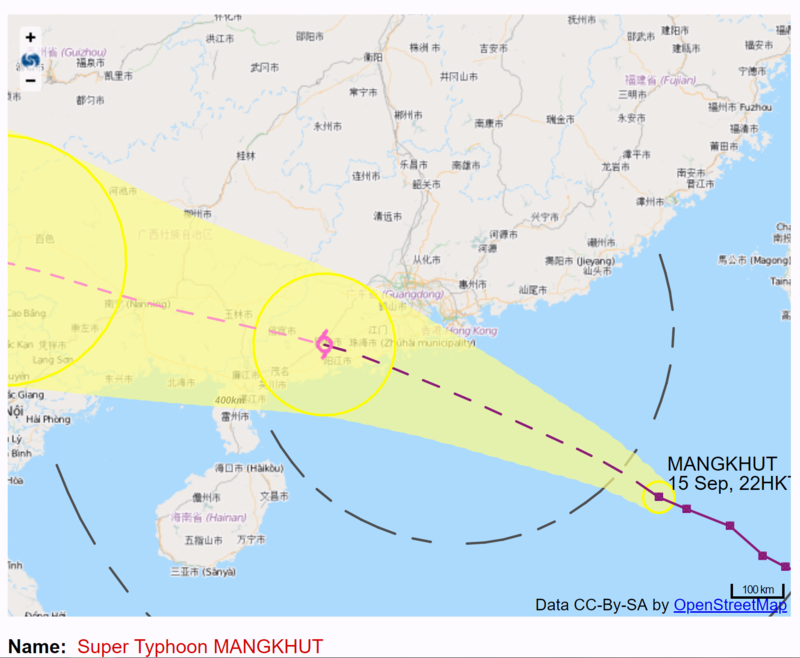 At that time, the typhoon continued to cause havoc in mainland China. 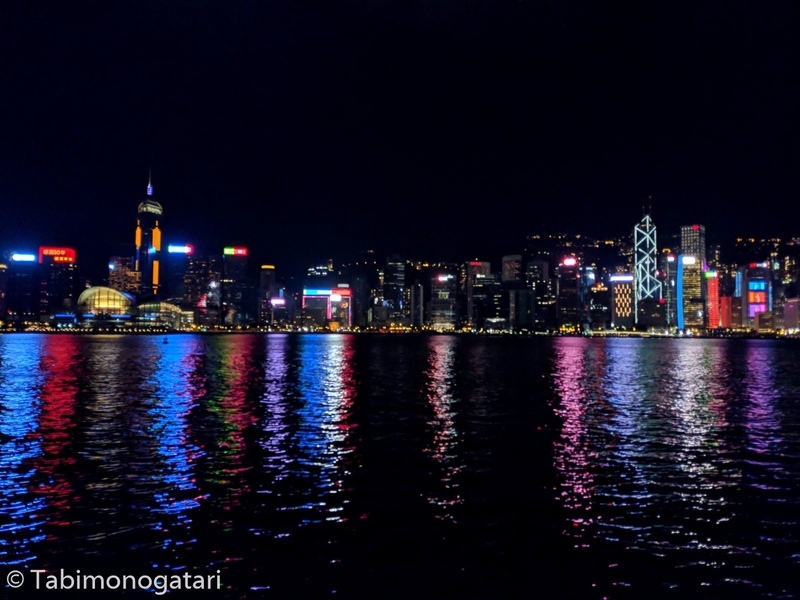 My new flight was delayed by three hours because of the aftermath of the typhoon, so I had some extra time at hand in Hong Kong. 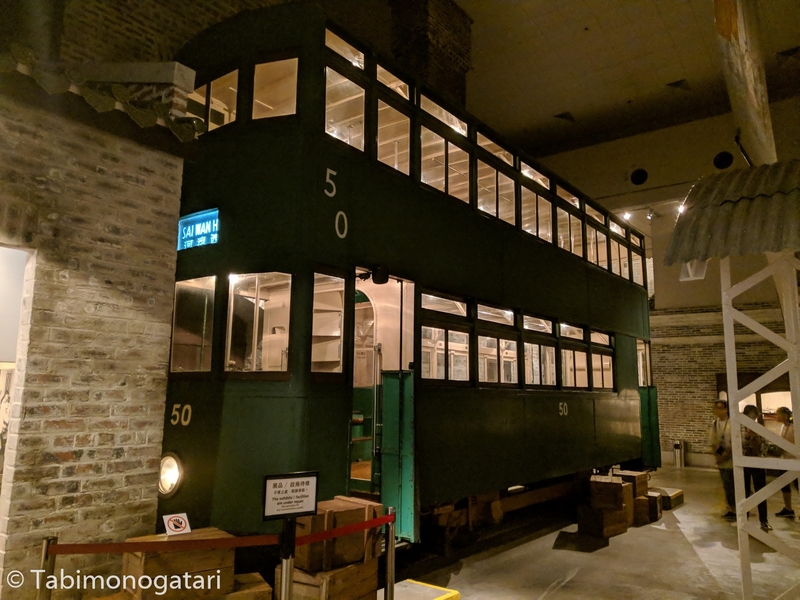 I decided to visit the Museum of History, in walkable distance from my hotel. As I walked, I could survey the degree of damage. 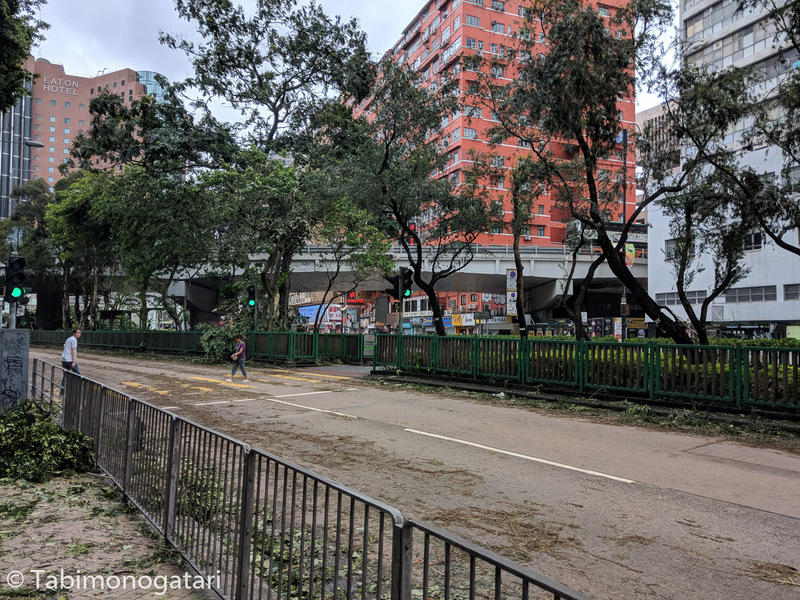 Branches and even whole trees blocked streets, some signs were dismounted or fell off, but the traffic on the main streets was unaffected. There was no flooding in the area I crossed and most shops opened as usual. 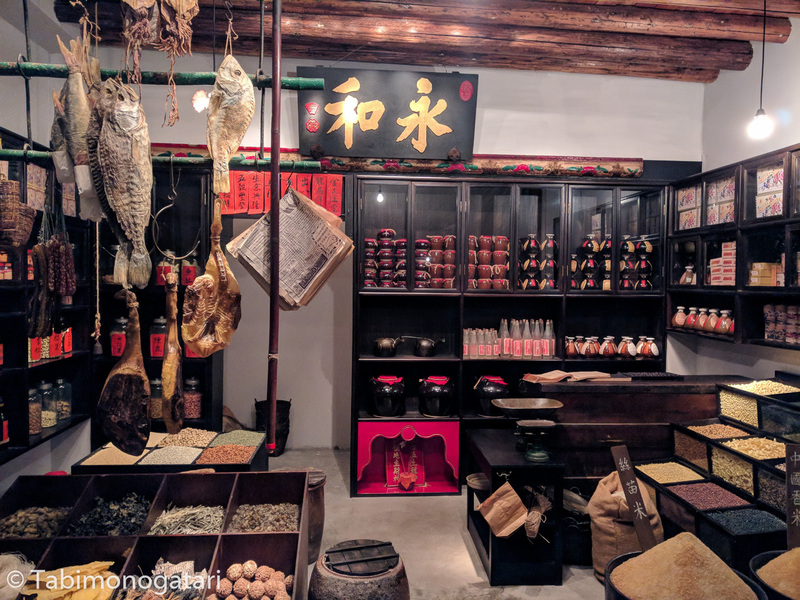 Also the museum was open, so I could enjoy the permanent (and free) exhibition about the history of Hong Kong, ranging from from early settlers until modern times. The exhibit had many life-sized models and was completely bilingual. With a public bus I returned to the airport and spent my remaining Hong Kong Dollars on souveniers and lunch. The flight was a bit further delayed but eventually we made it to Seoul without any incidence.